Mr. Douglass Rowe has served as the assistant principal at Hopewell High School since 2009. He played a role in founding the Hopewell Cyber Academy, has been a vocal advocate for technology in the classroom, is the SAP coordinator, works closely with the Beaver County Truancy Intervention Program, led a push for a positive social media presence for the District, and trained students and staff in the ALICE program as a response to an active shooter. Prior to coming to Hopewell, Mr. Rowe taught English for ten years at Rochester High School. During that time, he was also a club sponsor and English department chairperson. Mr. Rowe coached football at Rochester and Beaver Falls and girls softball at Rochester. Helping struggling students realize their potential for success has been Mr. Rowe’s proudest accomplishment as an educator. 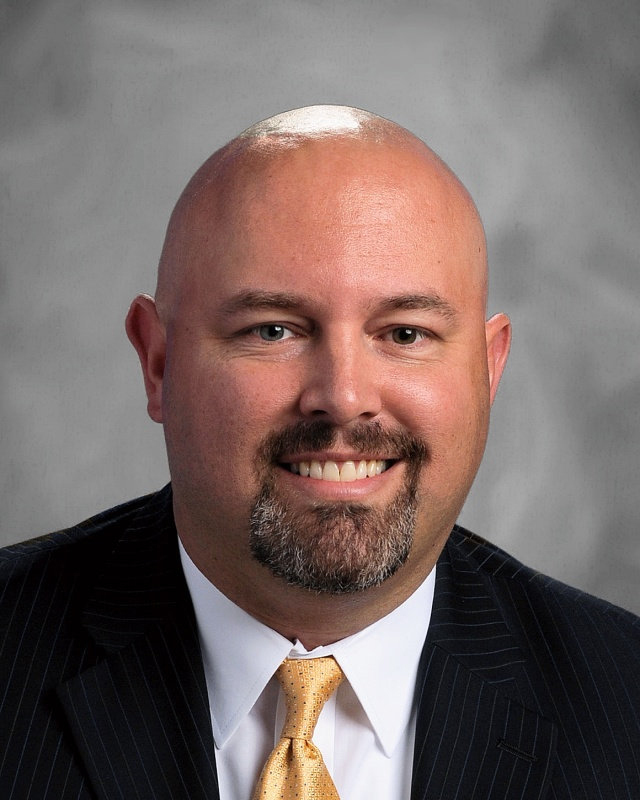 Mr. Rowe served as the MAC Principals Association president during the 2014-2015 school year, was the acting principal at Hopewell High School for the 2015-2016 school year, and has served on the WPIAL Sportsmanship, and Football Steering committees. He earned a BS in Secondary English Education in 1999 and his Pennsylvania Principals Certificate from the University of Pittsburgh in 2005. Mr. Rowe lives with his wife Natalie and their children Maryn, Maddie, and Sam.